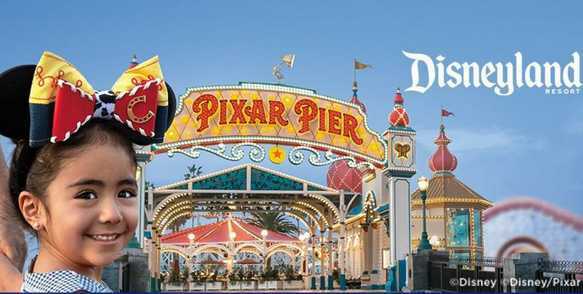 KCAL9 brings you the “KCAL9 Disneyland Contest” and wants you to come and celebrate Friendship & Beyond during the first-ever Pixar Fest, happening now through September 13th at Disneyland Resort!. Enter the DISNEYLAND Resort KCAL9 Giveaway contest now through November 23, 2018 for your chance to win a family 4-pack of Disneyland Resort 1–Day, 1-Park Tickets. How To Enter: Participants must watch KCAL9 News on Monday through Friday at 10PM. KCAL9 News will telecast a daily code word during the show between 10-11pm. Once you have the Disneyland Resort code word then visit this website www.cbsla.com/contests and follow the online instructions to complete the online entry form including the code word for your chance to win Disneyland Resort Park Tickets. Each weeknight the contest will open at 10pm and close at 11:59pm that same day. Who Can Enter: The CBS contest is open to Southern California residents (within the counties of Los Angeles, Orange, San Bernardino, Riverside, Ventura, and Kern) who are 18 years of age or older. When To Enter: The Sweepstakes entry begins on Wednesday, November 7, 2018 at 4:30am Pacific time (“PT”) and end on Friday, November 23, 2018 at 12 noon PT. Who’s Sponsor: The Sponsor of this Sweepstakes is KCBS/KCAL-TV, CBS Corporation, DISNEYLAND Resort.